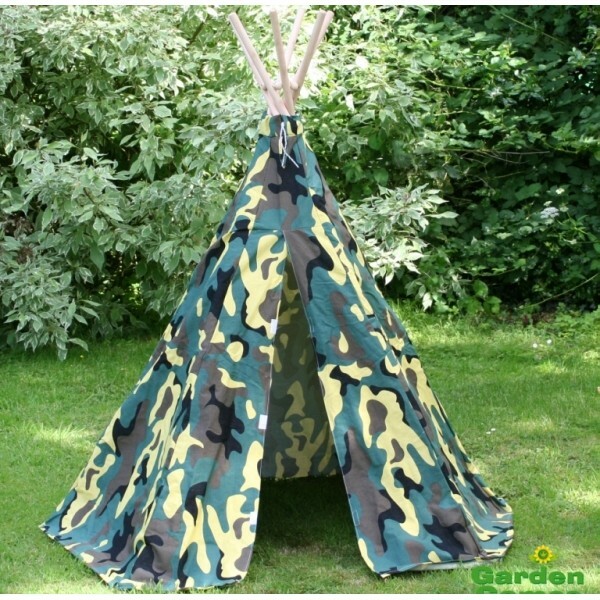 A fantastic variation on an ever popular design, the Camouflage Wigwam ticks all the boxes for a fun play tent, with a special camouflage print it opens up a whole new world for role play games. 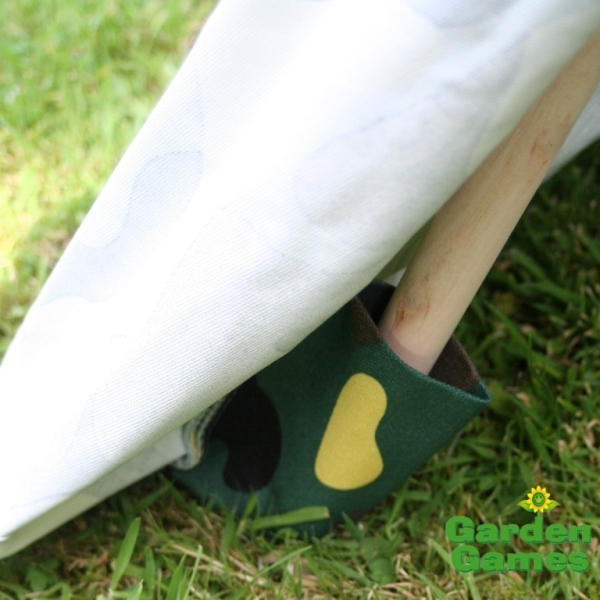 Perfect for outside use this wigwam is manufactured from PVC coated waterproof nylon on a wooden pole frame, meaning it can be left outside overnight even in the rain with no harm. 1.4m Dia x 1.9m H.
Suitable for 3 years old and above. Delivery Times: Within 4 working days. Delivery Notes: Delivery charges apply to Highlands & Islands.